Hello from the Uxbridge branch team. 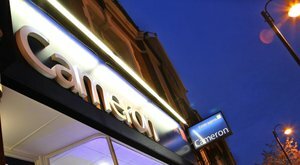 We are extremely proud of our well-recognised office in the centre of town, close to the Underground station. We have been part of the community since 2007 and have helped thousands of people move to and within the neighbourhood – trading up as they outgrow their old home or downsizing as their children fly the nest. In some cases we have helped many generations of the same family move and much of our business remains word-of-mouth, such is our reputation in Uxbridge. Having a physical branch is an important part of being an Uxbridge estate agent, as it provides buyers, sellers, landlords and tenants a place to seek advice and reassurance. It also means we have our eyes open and ears to the ground where it matters most. Drop by if you’re looking for a flat for sale in Uxbridge or would like advice on any property matter – no appointment necessary.